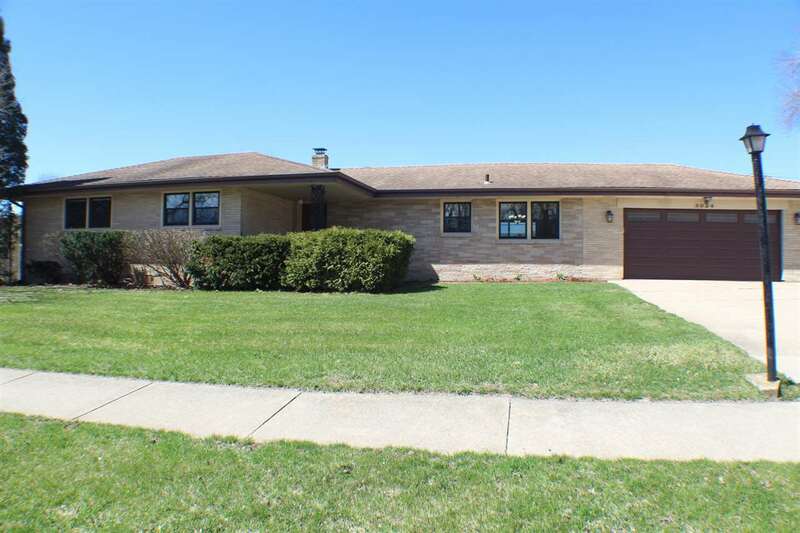 Exquisitely updated with great attention to detail throughout this spacious 4 bedroom, 3 bath ranch home situated in the Harlem School District. Remodeled kitchen, dining and living room. Quartz countertops, chef&apos;s grade sink, double oven and cabinet lighting. The electric induction stove and all SS appliances stay! Throughout this meticulous home, you will find 5" wide Brazilian Cherry hardwood floors. New windows, new plumbing, updated electrical wiring (200 AMP service), and many added details throughout. Lower level features a den, large utility and rec area! The large fenced backyard boasts a grand concrete patio, fireplace pit surrounded by a brick patio and large playground. A summer day&apos;s dream! You also will find 2 sheds to fit all your outdoor toys! The 2.5 car garage is both gas heated and air conditioned. It includes an electrical 100-AMP sub panel with 50-AMP 220V outlet perfect for a workshop. Too many items to list that will stay with the home. Act fast!